It's official! My accelerated Smarty entered the world of middle school. 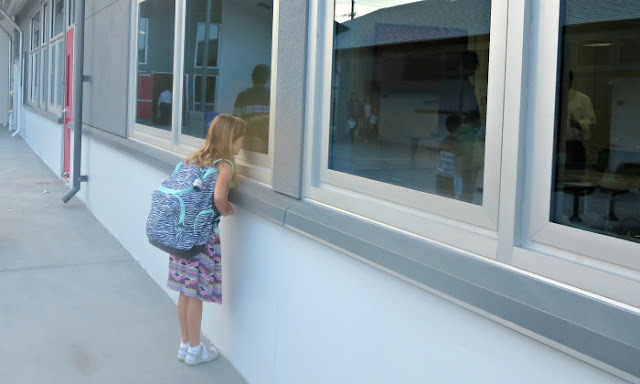 In this post I will share the first impressions of the first two days of middle school. What Smarty Liked This Week? She liked all her teachers and liked the idea of switching from one classroom to another. 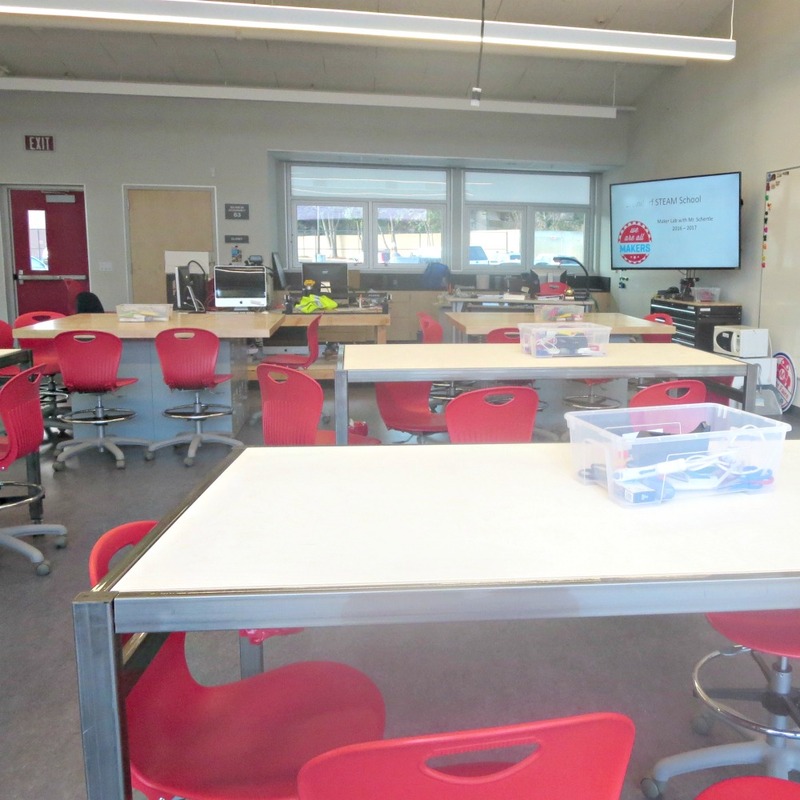 She is in awe of their brand new Maker's Lab (pictured above) and the fact that they will be using real tools there. She is super excited about a real science lab where some chemicals are so potent they can actually explode. She is happy with her schedule that has PE as the last subject of the day for her class and math/science as the first subject. Since PE is last, she does not need to change back until she comes home. She said that her classmates are nice, and there are no troublemakers. Well, the jury is still out on that one, since I cannot imagine anyone getting in trouble on the first two days of middle school. She loved the idea of a Design Hub. Basically, it's a library room, but it is arranged more like a lounge and also has several computers for research or playing games during recess. What Smarty Did Not Like This Week? The only thing that Smarty did not like this week was that they did not do any actual learning. She is roaring to go, and she does not have patience for "breaking the ice" activities. She is also a little disappointed that she does not have anyone she knows in her class. I wonder if this was done "by design" to help her develop her "people skills". If so, she has quite a road in front of her, since so far she just does not have "bandwidth" among all other new sensory and mental stimuli to think of making friends. What I Liked This Week? The best part was the enthusiasm that Smarty had after the first day of school. She said, I did not feel that way about school since Kindergarten. I certainly hope that her teachers will rise to the challenge of keeping her enthusiasm going. 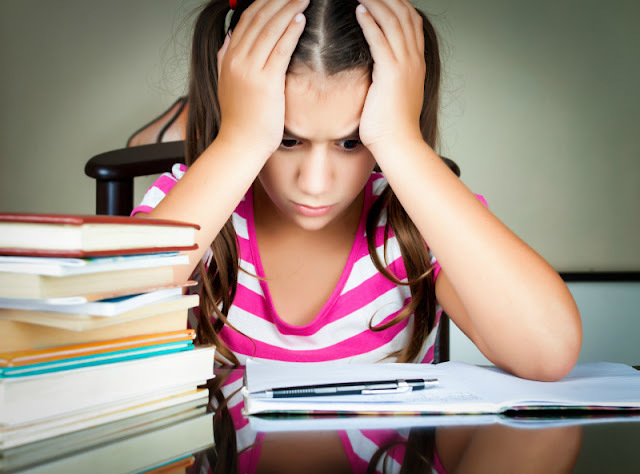 I also liked the fact that every teacher has a website with expectations, current homework, and, eventually, grades. As a program manager, I like things to be documented and clear :) Parents will also be able to track students' progress in one place through PowerSchool, but this has not been set up yet. What I Did Not Like This Week? Speaking of set up,.. people managing construction of this brand new school really pushed it too close to the opening day to complete some of the work. The drop off drive lane is not marked, making it somewhat dangerous for walkers and drivers during crazy rush hour in the morning. There are no books in the library. There are no tablets in the classroom, and they are "must have", since kids will be using computers for majority of their school day. One thing that I found particularly problematic so far is that there are no lockers or other place to leave things in school. It means that every day Smarty needs to carry a bunch of notebooks, a 3 ring binder, a pencil case, and some folders to school, plus her lunch, her water bottle, and her PE kit. Her backpack weighs more than 8 pounds, almost 20% of her weight, and that's without any textbooks. It might not be the problem for those who drive to school, but we walk about 15 minutes one way, and she is struggling with the weight of her backpack. Since it does not look like this problem will be solved any time soon, we had to do emergency shopping and bought this rolling bag for her. Did your school start back yet? How did the first days go? Some tips I picked up during my middle school tour. They have lockers but many kids choose not to use them. Keep only one folder for papers in and papers out. File once you get home. Do the same with a binder. Sort and keep notes at home. I heard with new schools, remaining flexibility is the key! Sounds like a great first days for Smarty! If you really want lockers, perhaps you can raise funds to build lockers? How much could they cost? I taught at a high school in San Jose (established) and did not have books or even enough chairs for the students in one of my classes for TWO WEEKS. I used to hope for enough kids to skip class that all the kids at least had somewhere to sit. I hope Smarty's school gets their kinks ironed out. Construction in the US nearly always takes much longer than is expected. I do think it sounds like a good idea for parents to do a locker fundraiser. My kids have rolling backpacks for the same reason. Even though they are in elementary school, bringing their own lunches tends to make their backpacks heavier than I would like, and Emma's class binders get pretty heavy (not to mention the library books she picks out). Like you, we walk, and a heavy backpack gets too heavy quickly. Is it planned to not have lockers, or was that a funding/timing issue?